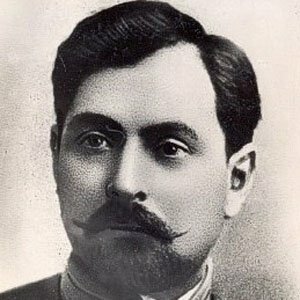 20th century communist who was a leading Azerbaijani revolutionary, writer, and publicist. He was the Party Chairman of the Central Executive Committee of the Soviet Union from 1922 until his death and his popular novel Bahadur Sona was published in 1896. He helped to build the first public library in the village of Gizel-Adjal, while working as a teacher. He served as the Minister of Foreign Affairs of Azerbaijan SSR from 1920 to 1921. He was raised in a poor family in Tiflis, Azerbaijan. His death was called the "second biggest loss for the Eastern World" by Leon Trotsky .